Fiona Smith from BRW published an article today entitled Number Crunch: How Bosses try to turn you into code, including an interview with yours truly. You can read it here. 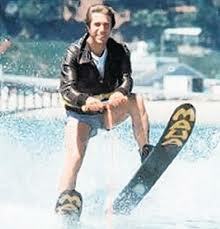 Are we Jumping the Shark on Big Data for HR? Lately I’ve been seeing a lot of HR vendors jumping on the Big Data bandwagon, and I wonder if as an industry, we’ve jumped the shark on this one. 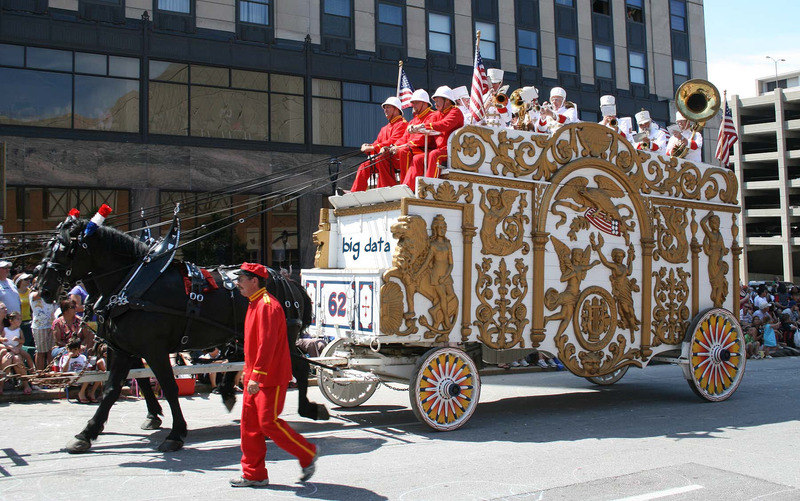 Many of the articles and whitepapers I’m reading are describing Workforce Analytics, but claiming to be Big Data. Some of them go to great lengths to define Big Data in ambiguous and overly-generic terms, so that they can claim to be offering a “Big Data” solution. Let’s be clear – Big data is a collection of data sets so large and complex that it becomes difficult to process using traditional database management tools. Think Sentiment Analysis from Twitter feeds; Behavioural Analysis, or Resume Screening for structure and soft skills – these data sources are largely unstructured, and require non-traditional approaches to data analysis like NoSQL and R.
Workforce Analytics generates some meaningful and actionable insights for organisations, and is still gaining traction – though it’s been around for much longer than the term “Big Data”. My concern is that Big Data for HR will go the way of Gamification for HR – another trend where some vendors will add token functionality and claim to be in the space for marketing reasons. The result of much of this effort will be that, like gamification, clients will become disenfranchised with the field because it won’t deliver results. The reality is that both gamification and Big Data have great potential – for the right organisations, and using the right tools – but you need to sort out the marketing spin from the significant offerings from vendors who understand and embrace the potential of these concepts. If you really want Big Data, run a competition on Kaggle. If you want actionable insights from analytics and, like 95% of organisations out there, aren’t suited to Big Data, then what you’re looking for is Workforce Analytics. Big Data has big potential – just don’t jump onto the bandwagon until you know how to play an instrument – and remember, the plural of statistic is not strategy. I’m happy to announce that I’ll be speaking at the Australasian Talent Conference from May 28th – 30th in Sydney. The theme of the the conference is “Agile Talent Management”, and I’ll be running a 3-hour workshop on Agile Workforce Analytics, focusing on how organisations can uncover actionable insights into workforce challenges and opportunities. Organisations are constantly looking to improve business performance, and doing more with less is critical. Agile workforce analytics enables HR to strategically lead the business in this improvement process. Participants in the Agile Analytics workshop will learn how to uncover actionable insights from the data they have about their workforce today; the ways in which statistics mislead us; and discuss the impact of Big Data on the future of talent management. More information can be found about the conference here, and other places I’m speaking here. In an earlier post, I wrote about The Peter Principle – the concept that individuals are promoted to their own level of incompetence in an organisation. Putt’s Law – “Technology is dominated by two types of people: those who understand what they do not manage, and those who manage what they do not understand”. The Dilbert Principle (from Dilbert creator Scott Adams) is an adaptation of the Peter Principle – paraphrased, it states that companies tend to systematically promote their least-competent employees to management in order to limit the amount of damage they are capable of doing. 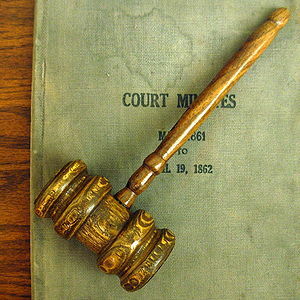 Goodhart’s Law – “When a measure becomes a target, it ceases to be a good measure”. (tweet this) This is something of particular relevance to Workforce Analytics, and something which I spoke about in The False Proxy Trap. The Pareto Principle is another well-known one, usually referred to at the 80/20 rule – for many events, roughly 80% of the effects come from 20% of the causes (80% of the revenue from 20% of the clients; 80% of the problems from 20% of the clients – not necessarily the same ones). Are there any other principles, laws, and effects that should be added to the list? 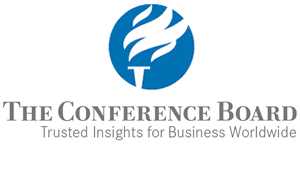 I’m honored to have been asked to be Guest Faculty for The Conference Board’s Strategic Workforce Planning Academy, and my first presentation, on Workforce Analytics, will be at the New York Academy on the 17th / 18th April, 2013. The Conference Board Strategic Workforce Planning Academy helps participants to develop and refine their talent processes and programs, aided by peers and seasoned SWP practitioners. Small classes, personal mentors, and face-to-face and virtual meetings over several months familiarize participants with the latest research in talent supply and demand, flexible labor strategies, and practitioner-identified competencies. More information can be found about the academy here, and other places I’m speaking here. Not all of the ways to increase employee satisfaction will also increase employee productivity. What are some other examples of the “false proxy trap” in HR?